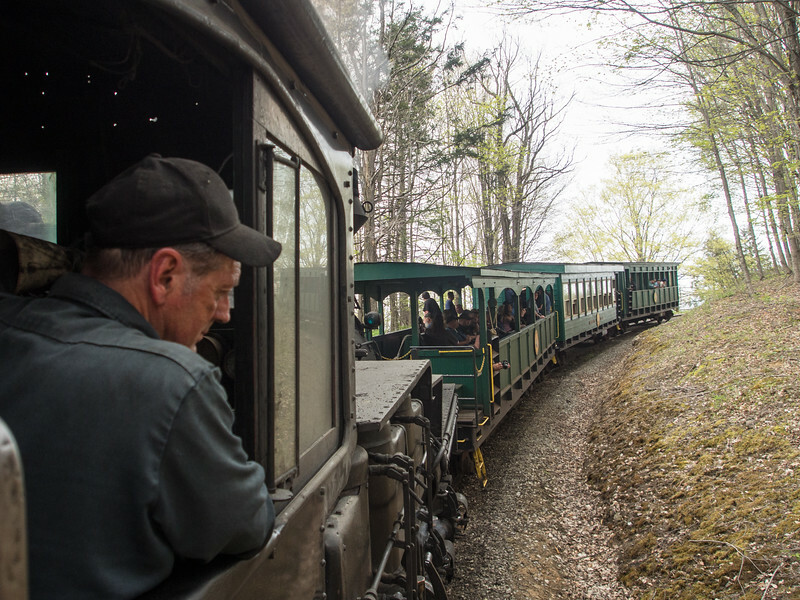 The grades are steep on the Cass Scenic Railroad...up to 11%. Such is the case on the stretch leading from the upper switchback to Whittaker Station. Yet powerful Shay #4 is having little difficulty with this three car train. Everything is in balance at the moment so the engineer can enjoy a "quiet" moment. That's assuming your definition of "quiet" includes the rapid-fire exhaust of a Shay with the throttle wide open.